To gel the daiquiri base I use a combination of agar and locust bean gum so the gels will be semi-elastic with a nice bite to them. They will also be strong enough to hold the strawberries when people pick them up. I prefer to use square molds but any mold that is big enough to hold a strawberry piece works well. They will last at room temperature for several hours or in the refrigerator for several days. I use a whipping siphon to quickly infused the strawberries with the rum, but if you don't have one you can combine them in a sealed container and let them sit for several days to infuse. 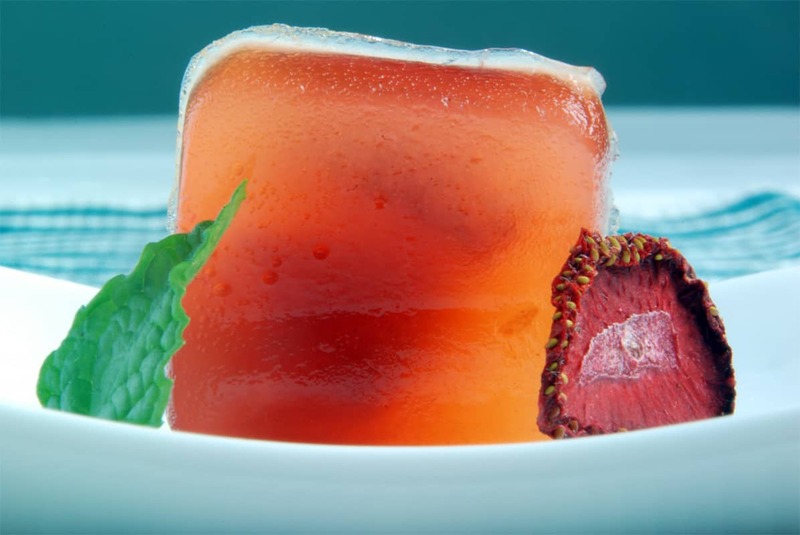 If you would like more information about the modernist techniques, ingredients, and equipment used in the strawberry daiquiri agar gel cubes recipe you can check out the following. Combine all ingredients in a whipping siphon. Seal the siphon, charge it, and shake well. Let the strawberries sit for 20 to 30 minutes, either in the refrigerator or on the counter. Vent the siphon then pour out the infused strawberries into a container. They are ready to serve or can be stored in the refrigerator for a week. 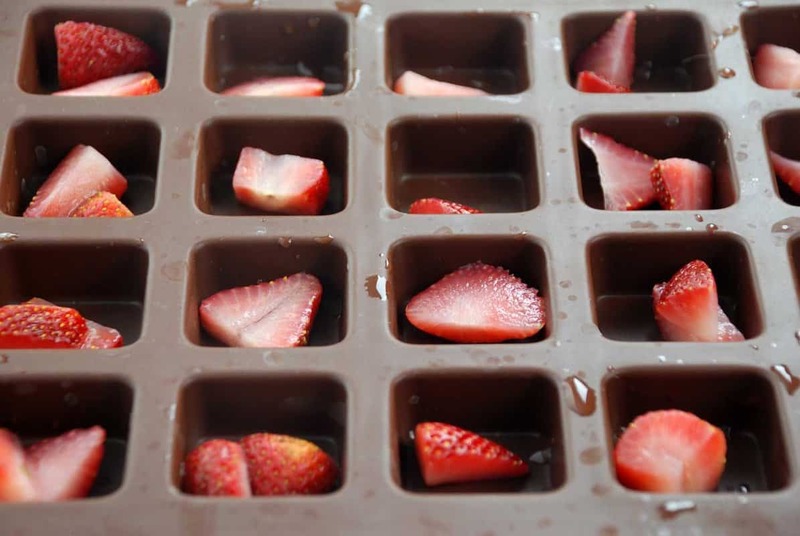 First, prepare the square molds by placing one or two pieces of rum infused strawberry in each one. Combine the pineapple juice, water, sugar, agar, and locust bean gum in a pot and blend well to combine. Bring to a boil while stirring occasionally. Let simmer for 3 to 5 minutes, stirring regularly. 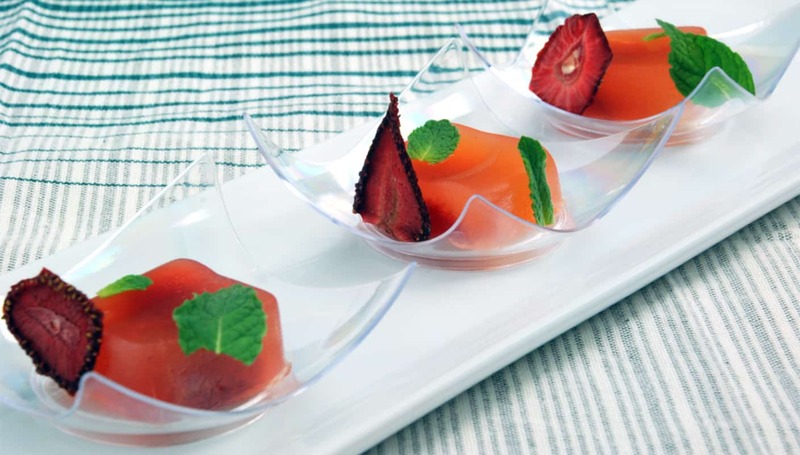 Whisk in the triple sec and lime juice then gently add the daiquiri base into the square molds around the strawberries. Once the molds are filled, let them set completely. Remove the agar gels from the molds and place on a dish. Top with a mint leaf and dehydrated strawberry then serve. 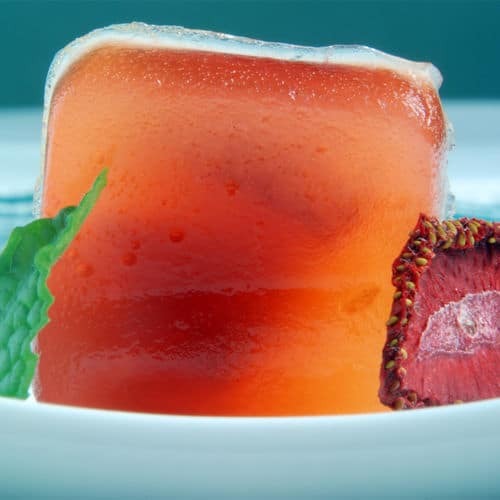 These agar gelled cocktail cubes are a fun way to entertain your guests. 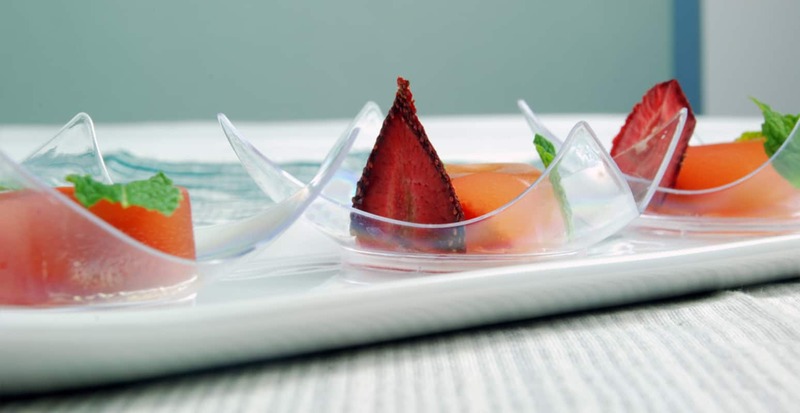 They are rum infused strawberries encased in a gelled agar daiquiri cube.